Tria Skin Perfecting Serum Review (2018): Is It Really Worth Buying? Tria Skin Perfecting Serum soothes the skin and helps get rid of acne dealing with the root cause. This serum helps get rid of the layer of dead skin cells to increase the rate of skin resurfacing. 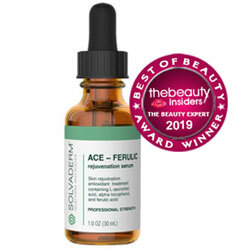 This serum unclogs the skin pores and gets rid oil, dirt, and other debris lodged in the skin to prevent acne breakouts. 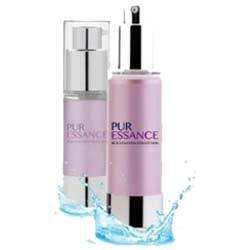 While doing all that, this serum delivers nourishment and hydration to make the skin beautiful. Although this product contains alcohol which may lead to skin irritation and skin dryness. This Tria Skin Perfecting Serum review will show how this serum works on your skin. Tria Skin Perfecting Serum – Does It Really Work? Tria Beauty specializes in light-based skin care treatment. Most of the products they manufacture are activated by light to bring optimal results. Tria Beauty makes sure that they update their products with the current technology to deliver the best results to their clients. Stress and acne free, beautiful skin that will shine its best glow. 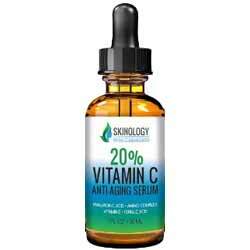 Brighter and lighter skin complexion that brings youth in your years. Gets rid of dark spots, age spots, and even out skin color. What Are The Ingredients In Tria Skin Perfecting Serum? Salicylic Acid: This mild exfoliant sheds off the dead skin cells and gets rid of dirt, oil, and debris lodged on the skin pores. This prevents acne from breaking out. Black Tea Ferment Extract: This extract is packed with potent portions of antioxidants that help prevent oxidative damage to the skin. It also has antimicrobial properties to keep the number of harmful microorganisms at a minimum. To make the best out of Tria Beauty Skin Perfecting Serum, Tria recommend applying this serum right after treating with Skin Perfecting Blue Light. Dispense and apply a small amount of this serum to the face and massage it evenly while avoiding the eye area. This serum gently exfoliates the skin and help in skin cell resurfacing. Gives you a lighter skin complexion and gets rid of age spots. This product helps reduce pore size and minimizes their appearance. Although there are no reviews online to back the manufacture claims. Requires a more expensive light treatment gadget to get the best results. Other Tria Beauty Skin Perfecting Serum reviews tells that this serum can potentially dry up the skin with its formulation. The formulation of this serum involves large parts of alcohol. Does Tria Skin Perfecting Serum Have Any Side-Effects? Acne breakout can result from excessive use of salicylic acid and alcohol-based products. These ingredients can dry up the skin and make it prone to infection. Tria Skin Perfecting Serum is advertised to deal with many skin issues. It helps brighten and lighten skin complexion while preventing acne breakouts. They also claim to help delay skin aging. However, Tria Beauty recommends a much more expensive product to make the most out this serum. Also, it’s a little expensive than most and the formulation can be a little drying to the skin. This can potentially get rid of acne, although, it can also cause it if your skin is not compatible with it.